With the emergence and incorporation of innovative technologies into businesses increasing with each passing day, the number of vulnerabilities that cybercriminals can exploit to gain access into an enterprise network is also on the rise. To secure their organizations from the evolving cyber threat, CIOs and other C-level executives are now deploying effective cybersecurity measures. Further, cybersecurity consulting companies are assisting leaders in organizations in integrating the latest and most innovative technologies in the right way to build an effective security strategy. Cybersecurity measures such as periodic program and systems update, implementation and maintenance of control access, and using intrusion detectors to monitor system and network activity are some of the steps companies are taking to strengthen the company’s real-time defenses. Technologies like artificial intelligence and machine learning are used to predict upcoming attacks. Multifactor authentication is being deployed to secure access points, and with ability of deep learning to identify safe and malicious software, cybersecurity employees can now reduce the time it takes to detect and eliminate unsafe data. The future of cybersecurity depends upon the rate at which industry leaders will adapt to the ever-growing and ever-evolving threat of cyber attacks. With cybersecurity consulting companies, industry leaders can improve their ability to thwart cyber attacks and enhance the implementation of new and emerging technologies to become better equipped for the digital threats of the future. 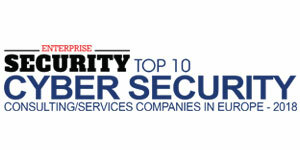 This edition of Enterprise Security Magazine brings to you the “Top 10 Cyber Security Consulting/Services Companies in Europe - 2018.” The list gives you some of the most innovative organizations in the industry that assist organizations in the adoption of the most advanced technology to enhance their security capabilities against present and future cyber attacks. With the adaptation of technology, companies are struggling to protect their data. Most of the companies in Europe have already been a victim of data theft, breaches, hacking incursion, or industrial espionage. 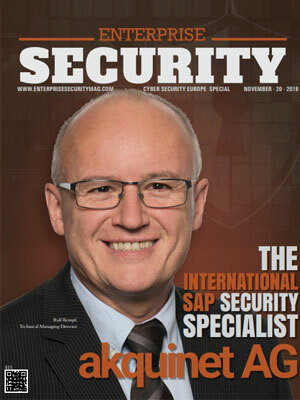 To address these issues, the cybersecurity consulting company Akquinet has designed SAST SUITE to protect SAP landscape with real-time monitoring. The company provides GRC software, SAP security and compliance, and managed service solutions. Governance, Risk and Compliance Strategies (GRC) is a basis of integrated risk management in many companies. SATA software provides consultancy in all relevant dependencies of the companies from handling identity and user access management to assessing risks and securing their IT systems. BESECURE is a cybersecurity services company that helps its consumers to address a critical component of their security program by adopting a slightly holistic approach to tackle security and compliance challenges. The company provides GRC services that address the risk and compliance, audit and assurance, and continuity and incident management needs of its clients. The company also provides managed security services that strengthen the cyber defense programs with minimal costs utilizing Besecure Cloud, big data and supercomputing capabilities. BESECURE implements advanced IT security solutions that deal with fraud prevention, identity and access management, IoT security, threat detection and response, cloud security, and information protection. The company also delivers information security training seminars to enhance security awareness in businesses. Elysium Security delivers innovative services and solutions with the required business knowledge of current and future needs to prevent threats and safeguard organizational data. 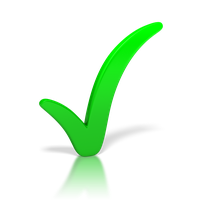 The cybersecurity services provider has a simple and pragmatic approach toward security based on principles of responsiveness and independence. The company has segmented its services into offensive and defensive services. Defensive services consist of defending and protecting corporate assets by anticipating threats while offensive services consist of initiating targeted intrusion, investigation, trace-finding and retaliation actions in the incident of an attack. The company also educates its users by providing training and awareness programs on the technical security issue. Corero Network Security is one of the leading cybersecurity services companies that provide high-performance Distributed Denial of Service (DDoS) defence solutions in real-time. The rising frequency and complexity of DDoS attacks are continuously impacting the security and availability of the internet. Corero improves security over the internet through the deployment of innovative DDoS and network security solutions. The technology of the company is utilized by service providers, digital enterprises, and hosting providers to remove the DDoS threat to their environment via automatic attack detection and mitigation, with complete network visibility, reporting, and analytics. Corero’s technology offers flexible protection that scales to tens of terabits at reasonable costs. 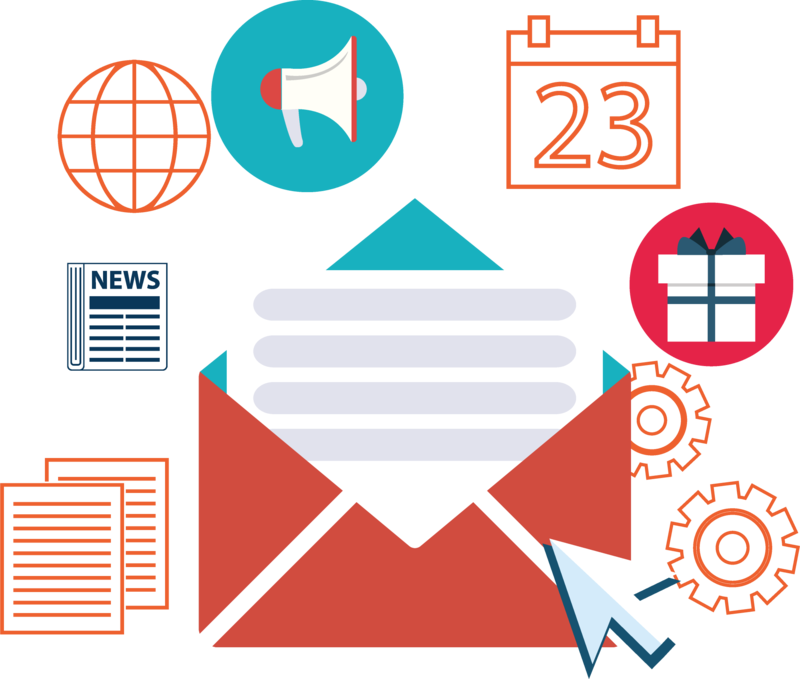 Cybersift provides security software which automates alert investigation and reduces the requirement of a large number of people for the alert analysis. To empower companies with enhanced self-learning cyber threat detection tools, Cybersift has created a self-learning threat detection system. The intersection of machine learning and cyber security is enabling companies to protect their data. Installation of Cybersift on-premise or in the cloud enables companies to get a good hold on the existing security deployments while applying artificial intelligence to reduce detection times. The capability of this cybersecurity service company to hide noise and extract the unusual events is high which gives the security teams an additional mechanism to quickly spot and react to attacks. Cylance is one of the foremost players in the cybersecurity services landscape that utilizes machine learning and artificial intelligence to actively prevent, rather than reactively detect, the execution of advanced persistent threats and malware. The flagship product of the company CylancePROTECT is the next-generation antivirus built on machine learning and artificial intelligence. The technology of the company helps security teams of the companies to get a better insight and take better informed strategic security decisions delivering threat prevention, detection, and response capabilities. Encode is a cybersecurity consulting company that delivers cybersecurity operations and services, security analytics and response orchestration platform which gives authority and adaptive response capabilities to companies with a prior warning against advanced cyber threats. Encode delivers highly skilled subject matter experts to clients in the public and commercial sectors. These experts offer professional services at every step of an IT project lifecycle, including system integration, testing, solution architecture, needs analysis, product implementation, application design, development, tuning, and mentoring. Moreover, the company serves to supplement its clients’ existing teams across a wide range of infrastructure technologies including commercial off-the-shelf, cloud, and opensource products. F Secure shields companies and its customers against advanced cyber attacks, data breaches, and widespread ransomware infections. It is a cybersecurity services company that offers endpoint protection as well as threat detection and response to organizations across the globe. The sophisticated technology of F Secure collaborates human expertise of its world-renowned security labs with the power of machine learning for a unique approach called Live Security. The company’s suite of services includes vulnerability management, Endpoint Detection and Response (EDR), Managed Detection and Response (MDR), threat intelligence, red teaming, VPN, and cloud security services. Netwrix gives authorization to information security and governance professionals to retrieve control over sensitive, regulated, and business-critical data. Netwrix provides cybersecurity services to secure sensitive data, pass compliance audits with less effort and expense, realize the full business value of enterprise content, and increase the productivity of IT teams and knowledge workers of its clients from around the world. The company focuses on delivering IT security and operations teams system configurations, pervasive visibility into user behavior, and data sensitivity across hybrid IT infrastructures to protect data irrespective of its location. Odyssey is an integrator of cybersecurity services, infrastructure, and risk management solutions. The company aims to provide high-quality and cutting-edge information security to the organizations for effective and efficient management of their cybersecurity risks. The Odyssey 360-degree approach toward information security ensures the effective management of organizational cyber risk. This strategy of the company provides a wide range of services including cloud services, big data security analytics, governance, network infrastructure, compliance and risk management, and managed security services. These address the challenges posed by the cyber-threat landscape in all key aspects of the organization: people, process, and technology.